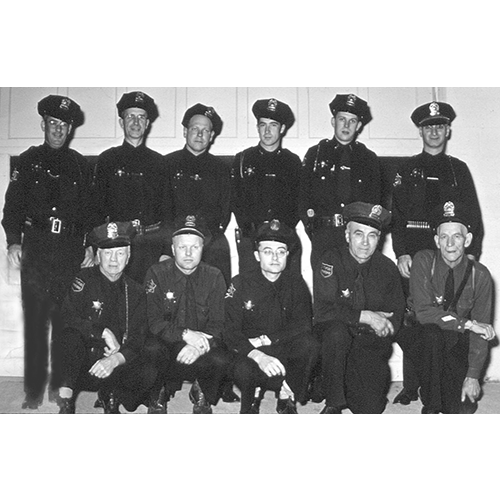 A voluntary auxiliary of 130 Kenmore men assisted regular King County Sheriff's deputies in maintaining local law and order during the 1940s and '50s. The auxiliary members wore standard police uniforms and served four evening hours a week, using their own vehicles. Photo by Verlina Eaton Public Services.